different procedures issued by a court in Abuja in connection to a criminal protest brought against the Senate President, Bukola Saraki be served on him. To this end, the IGP has detailed a unit within the Nigeria Police Force’s Legal Department, Force headquarters, Abuja to ensure the prompt delivery of the court processes on Saraki. This must happen before the next date, October 3 this year. A lawyer, E. S. Marcus, disclosed this development on Monday at the resumed proceedings in a criminal complaint made against Saraki by an Abuja-based lawyer and rights activist, Oluwatosin Ojaomo, in relation to the ongoing investigation by the police into the April 5, 2018 bank robbery incident in Offa, Kwara State. The judge handling the case at the Grade 1 Area Court, Aco Estate, Lugbe, Federal Capital Territory (FCT), Abuja, Justice Abdullahi Garuba Ogbede had, on September 10 this year, ordered the issuance of summons on the IGP following Saraki’s absence in court when the case, in which he (Saraki) is listed as the sole defendant, was called. The judge had summoned the IGP to attend court on September 17 to show cause why Saraki was absent in court and what efforts he had made to ensure his appearance. 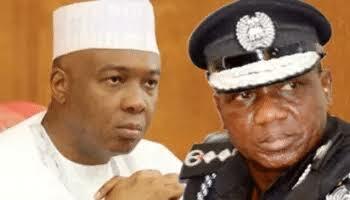 On Monday, Marcus, who is Ojaomo’s lawyer, told the court that although the IGP and Saraki were absent in court, he was informed by a Deputy Superintendent of Police (DSP) in the Legal Unit of the Nigeria Police Force, identified as Mahmoud that the IGP has directed a unit to ensure the delivery of all processes in relation to the case on Saraki. He said: “The defendant is not in court. At the last date, the court issued a witness summons on the IGP to come and show cause why the police failed to effect service of the criminal summons, warrant of arrest and other processes on the defendant. Marcus urged the court to grant a short adjournment to enable the police effect service of the processes on the defendant. Justice Ogbede acceded to Marcus’ request and adjourned the case to October 3.